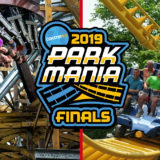 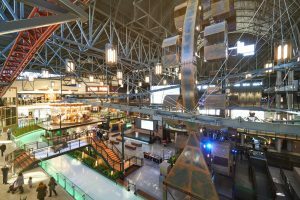 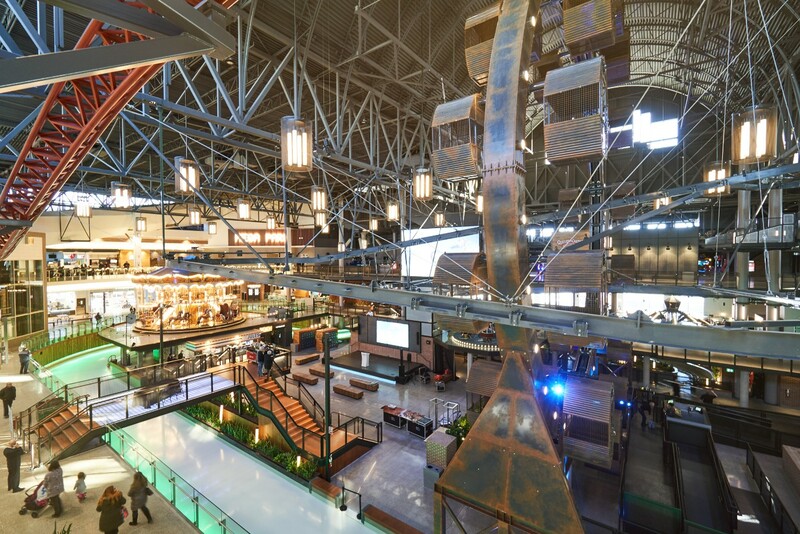 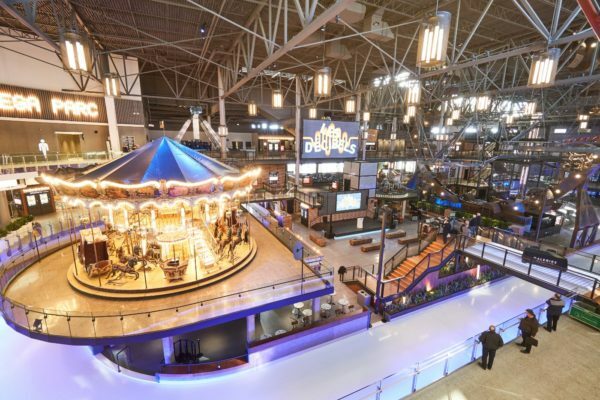 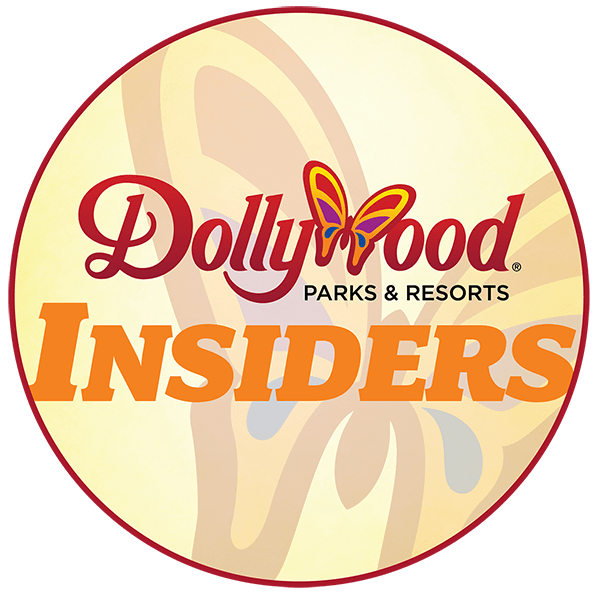 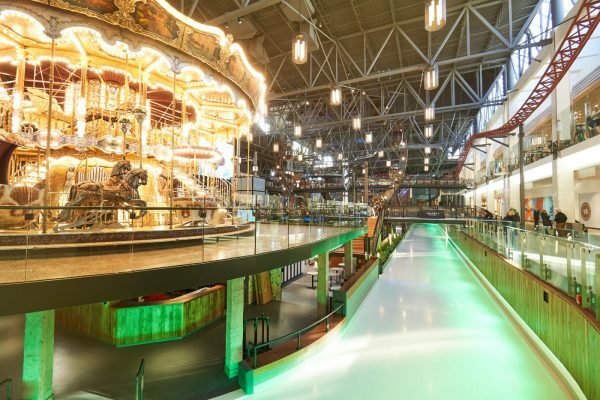 The indoor Méga Parc amusement park at Galeries de la Capitale shopping mall in Québec City, Québec (Canada) is reopening today after an extensive renovation that included the addition of 14 new attractions and four restored rides. 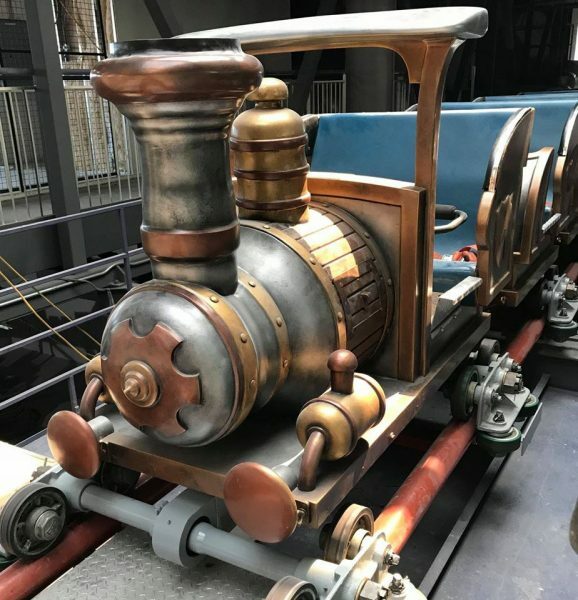 Électro — formerly known as Capitale Express — is one of the four rides returning from the original park. The family-friendly Mack coaster opened in 1988 and features a top speed of roughly 31 mph. 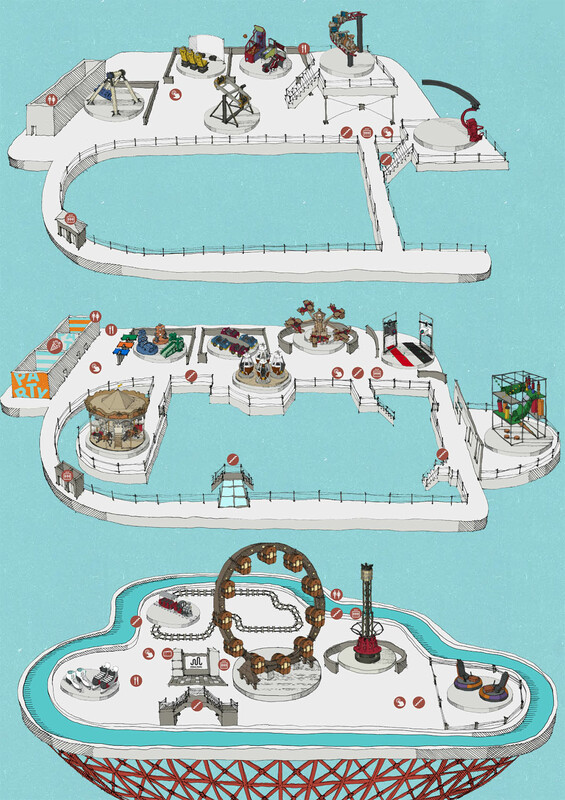 Its layout encircles the park. 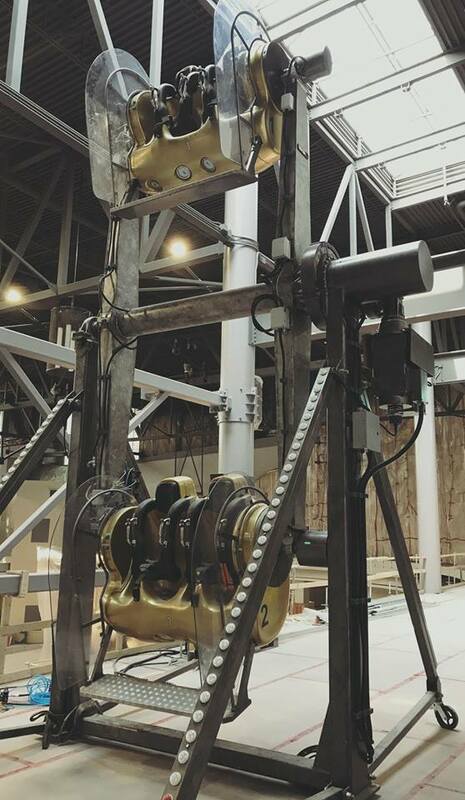 Télégraphe, is a new, 40-foot-tall suspended coaster. 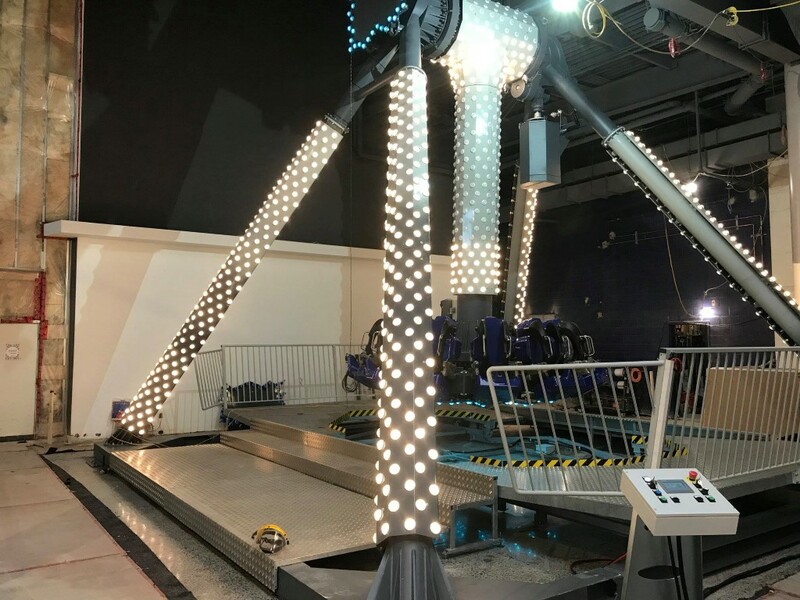 The single-rail ride is a “Cloud Coaster” model from Extreme Engineering. The single-seat cars will send riders flying over and around the park. 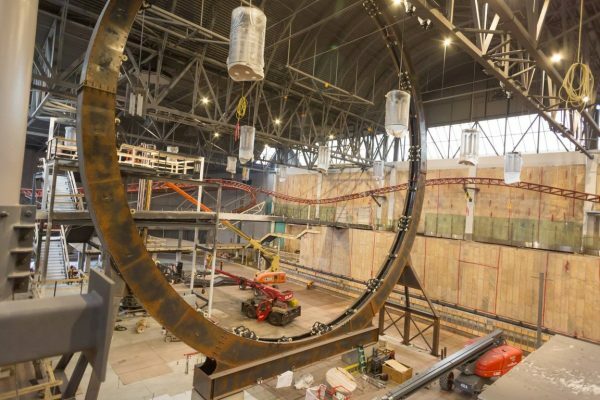 Télégraphe will also pass through one of the park’s most eye-catching attractions, Zénith — the first spokeless Ferris Wheel in North America. 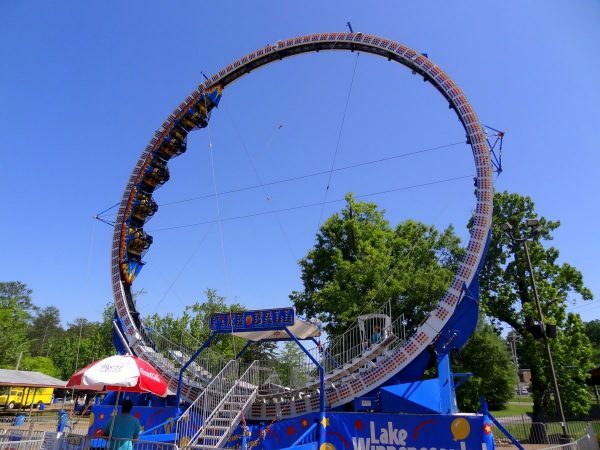 If the wheel reminds you of the popular Larson Loop ride (below), that’s because the “Hubless Wheel” is also from the Larson ride catalog. 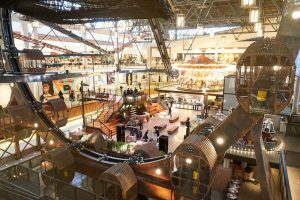 For more information, visit the Méga Parc website. 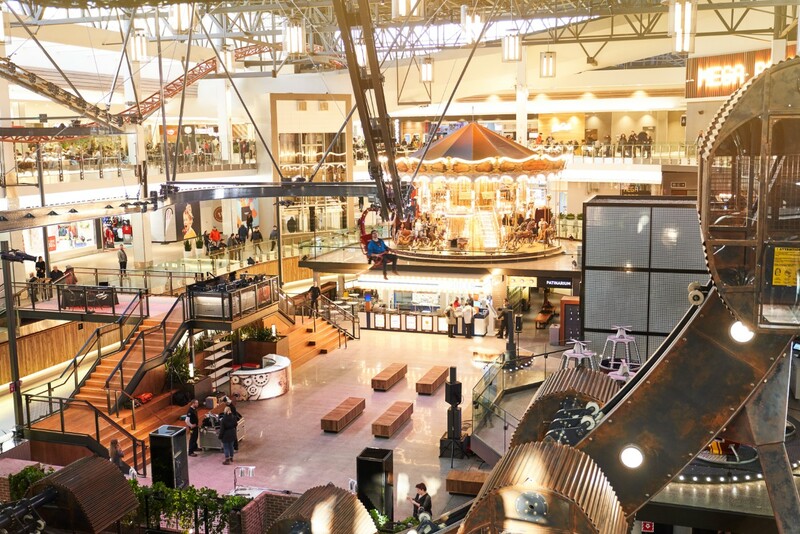 Did you visit the old Méga Parc or have you recently visited the new incarnation? Share your experiences in the comment section below.